The new spot to hang out and relax. 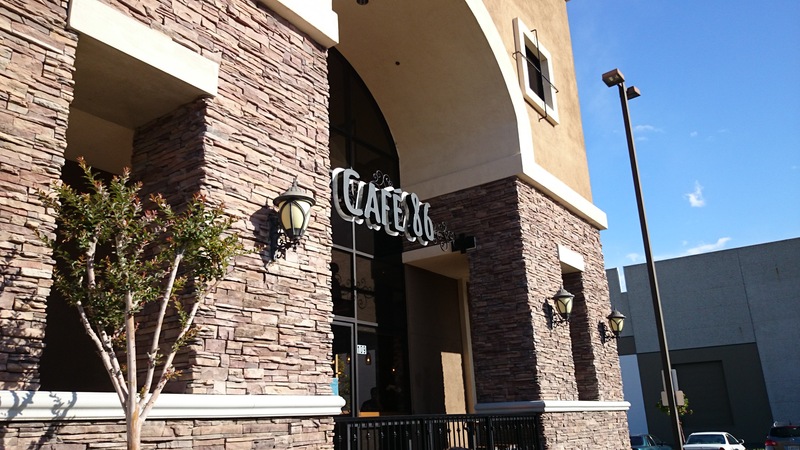 Cafe 86 in Chino Hills, CA. This cupcake was absolutely delicious. 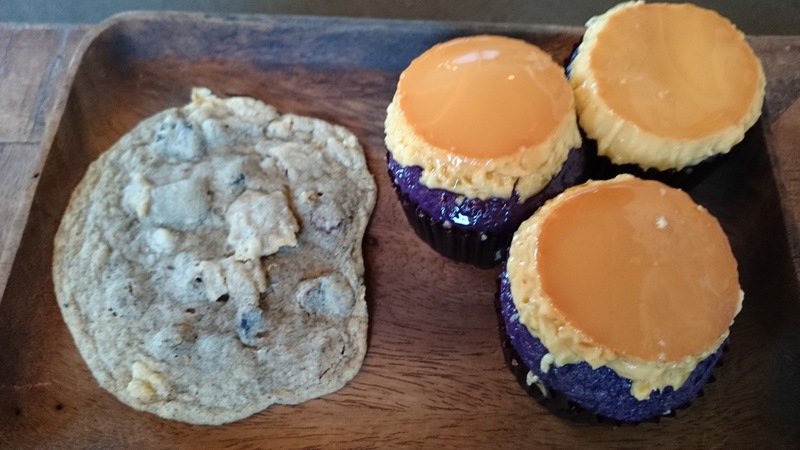 If you like ube, you’ll love this combination. 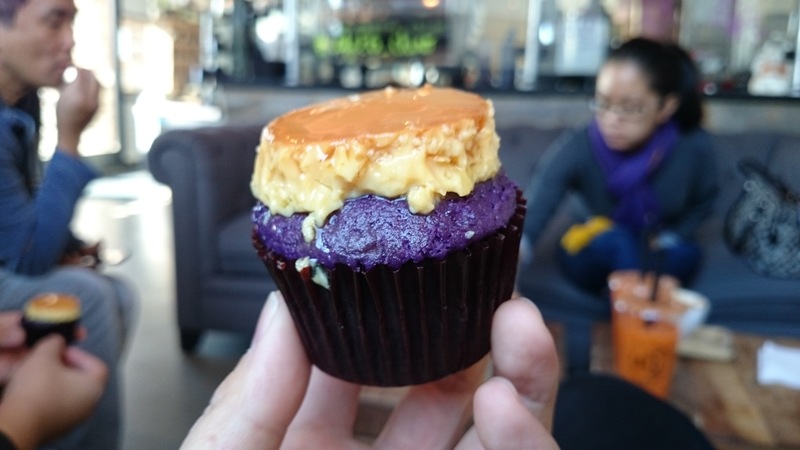 Ube is purple yam and with that little piece of leche flan on top…MORE PLEASE! The cupcake itself was super moist with great flavor. What I mean by that is that I’m very much into sweets, but this was not your typical super sweet cupcake you get at the grocery store with super sweet frosting. It is just right. The flan on top is where I feel most of the sweetness came from and so it balanced out very well. I am an ice cream lover and this ice cream treat is now on my all time favorite list. 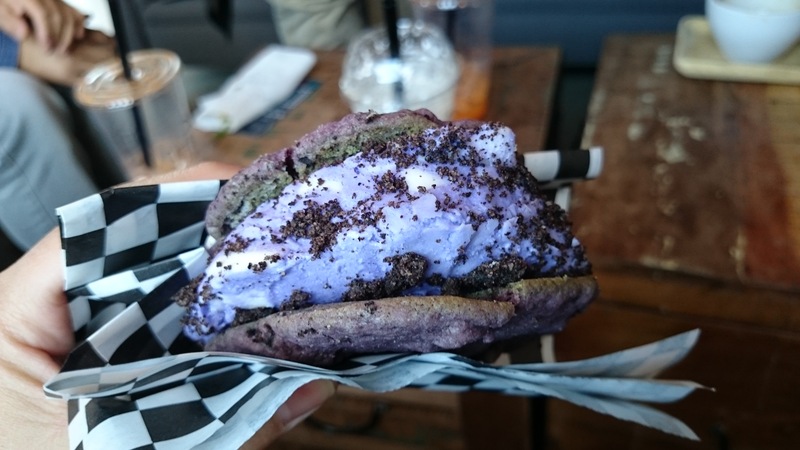 The ice cream is…you guessed it…UBE, but with cheesecake swirl. I believe the cookie is white chocolate and macadamia (sorry if I got that wrong). Either way, this ice cream sandwich is a MUST! That cheesecake swirl is something else. It really brings in a smooth flavor to the ube that makes you wanna scarf it down so you can have another. On a side note, if you didn’t know from all the ube, this is a cafe with all the drinks and snacks having a Filipino theme. By no means is this a place for just Filipinos. The food is for all and I know all will enjoy. Plus, the staff were awesome and the friendliest around. 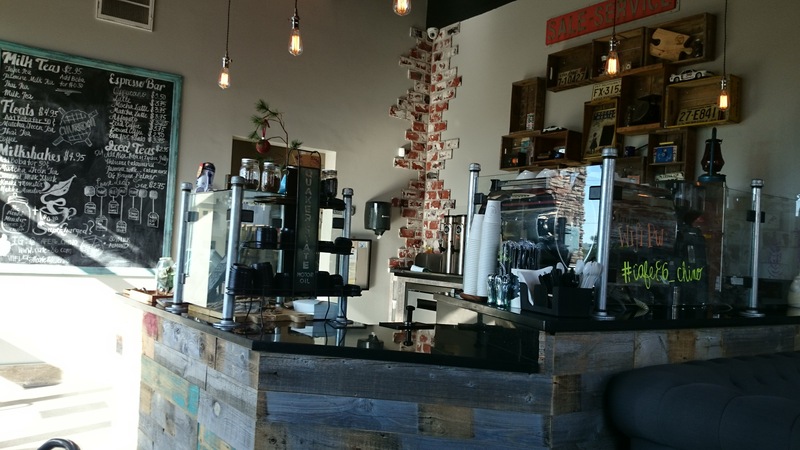 My new go to spot to hangout, relax, and splurge when I’m on a snack attack.